Drawing for Dictionary of Architecture and Landscape Architecture (2006). 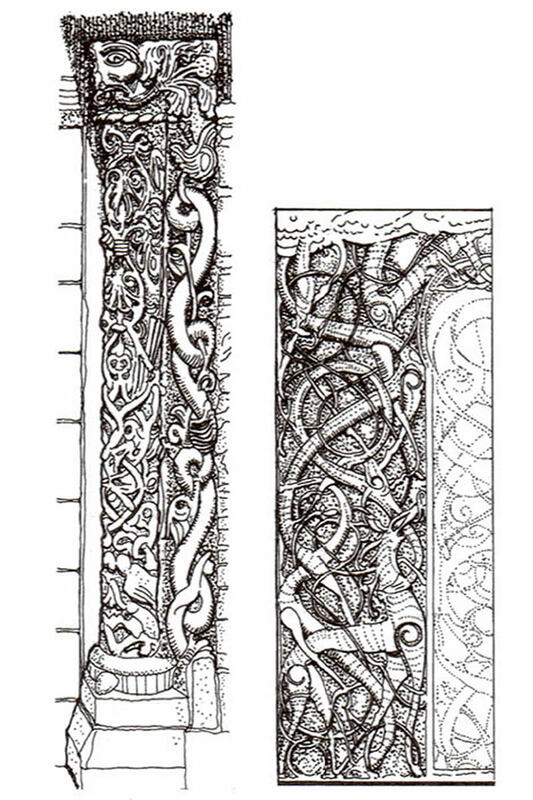 Viking ornament (left) Carving, south door, Kilpeck Church, Herefordshire, showing twelfth-century Ringerike designs. (right) Eleventh-century carved portal, Urnes Church, Norway. The Oxford Dictionary Of Architecture. Third Edition.